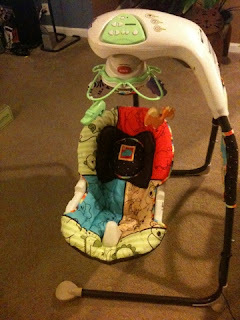 The Best Baby Swings, holders & 'Docking' stations. - Tired Of Being Pregnant? Me Too. 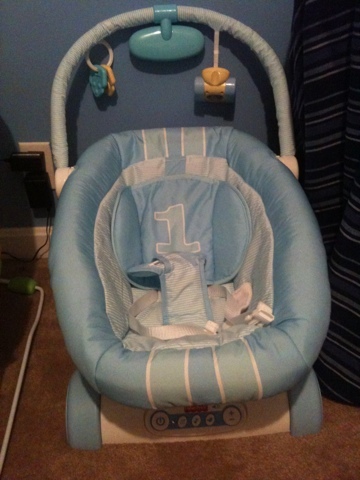 The Best Baby Swings, holders & 'Docking' stations. It's amazing how many docking stations my new born has. What's more amazing is that he is docked in each one at least once a day! Here are some of favorites! This dock is great for hanging with me on the couch. This is his favorite playtime dock. He LOVES lying under the purple thing in the center. It spins around and plays music. Now that he's 2 months he reaches up for it and the hanging things around him! He will lay there for a solid 10 minutes smiling and cooing. In baby time that is HOURS!!! This is his Car Dock. This dock is supposed to mimic a car ride. It even makes car/street noises. He will fall asleep in this in the morning. Oddly enough only in the mornings? I think when he gets bigger he will hang in it more often. 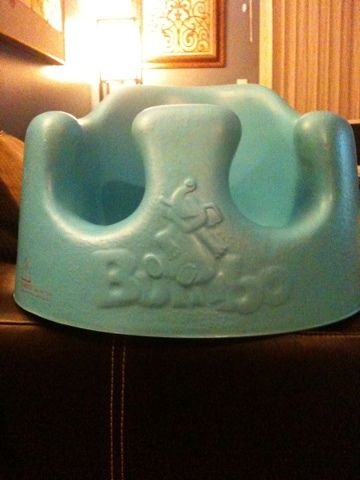 The Bumbo dock! This thing is great. Don't worry I don't put it on the edge of the table. Really! Who does that? He is good at holding his head up... But I still only let him hang in there for less than 5 minutes. 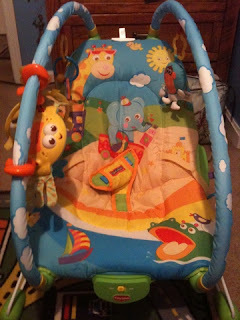 This is his dance party with daddy chair. Dad turns on the dance beats and Ollie flails his arms and legs to the beats. It's really amazing! He doesn't spend much time in this chair solo though. I think it's too big and he feels left out in a field alone in it. He does like the crab though. 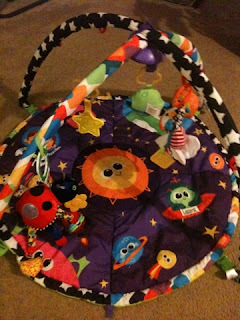 It blinks and makes noises. This swing is my favorite! Ollie will go to sleep in it when all else fails. It's in the swing and sleeping in less than 5 minutes. He also does not like swinging in the other direction. Hands down he spends the most time docked here. 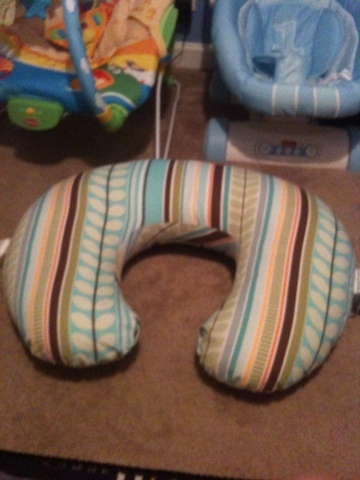 Anyone have a dock their baby loves? Awesome! Those are some nice docks!! !